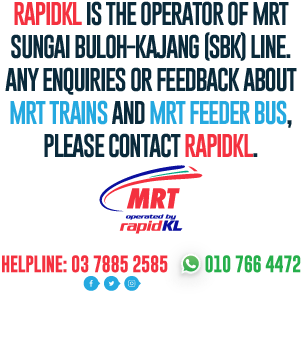 MASS rapid transit (MRT) system is a rail system which is used for transporting passengers in urban areas. It is known by various other names such as mass transit, subway, underground railway or metro. The main characteristic of an MRT system is the ability to carry large numbers of people efficiently and forms the backbone of a city’s public transport system together with other rail-based modes such as the light rail transit (LRT) systems, trams, monorails and commuter trains. The tracks typically are laid either in underground tunnels, especially when they run through the city centre, or on elevated viaducts above street level, especially in the outer suburbs of a city. By 2020, demand for travel in the Klang Valley is expected to reach 18 million trips per day. If all these trips were done using private transport, the city will be gridlocked. 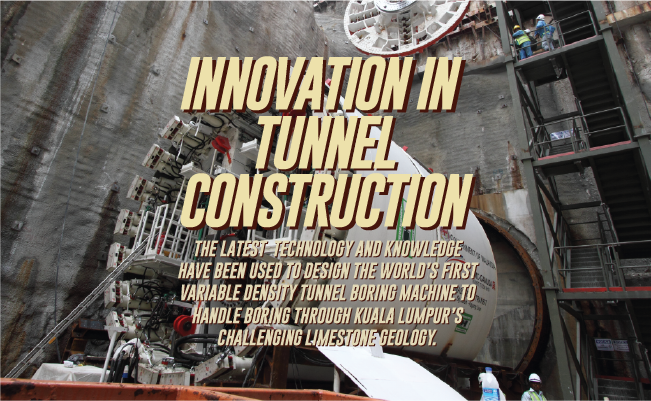 An MRT network is therefore critical to ensure that the Klang Valley is able to function. 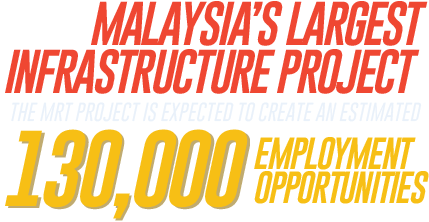 The Project was approved by the Government in December 2010 and was made an Entry Point Project of the Economic Transformation Programme (ETP) under the Greater Kuala Lumpur/Klang Valley National Key Economic Area (NKEA). The ETP is driven by the Performance Management and Delivery Unit (PEMANDU) of the Prime Minister’s Department. The Project was initially proposed to the Government by a private sector consortium in early 2010 and consisted of three MRT lines. 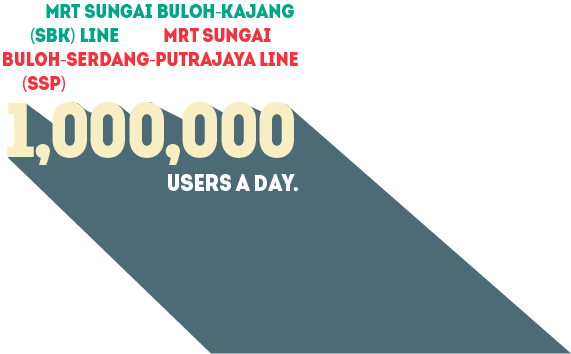 The first MRT line implemented was the 51km Sungai Buloh-Kajang (SBK) line. Construction of the line was officially launched on 8 July 2011 by the Prime Minister of Malaysia, YAB Dato’ Sri Mohd Najib Bin Tun Abdul Razak. The Prime Minister also launched the first phase of the SBK Line on 15 December 2016 and the complete alignment on 17 July 2017. Approval for the implementation of the second MRT line, the SSP Line, was given by the Government in February 2014 while the final approval of the SSP Line Railway Scheme was obtained in October 2015. The official ground breaking ceremony for the SSP Line took place on 15 September 2016. The third MRT line is envisaged to be a circle line which will integrate with all existing radial lines of the urban rail network. SPAD has outlined the corridor for MRT Line 3 under its Urban Rail Development Plan and currently, a feasibility study of the line is being carried out.